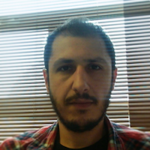 Dr Christos K. Papadopoulos-Filelis is a Postdoctoral Researcher in High-Performance Computing. He received a Dipl.-Eng. in Electrical and Computer Engineering from Democritus University of Thrace (DUTH) (2010, Xanthi, Greece) and a PhD in High Performance Scientific Computations from Department of Electrical and Computer Engineering, Democritus University of Thrace (2014, Xanthi, Greece). His research interests include high performance computing, scientific computing, parallel systems, grid/cloud computing and numerical methods for sparse linear systems. He served as an administrator in the computer labs of Electric and Computer Engineering department from February 2011 until January 2013. He served in the technical support team for eastern Macedonia and Thrace of the “Stirizo” («ΣΤΗΡΙΖΩ») project from February 2013 until December 2014. He has over 30 publications in journals, international conferences and books in the above research areas.